Appliances are truly a prime example of superior ingenuity. They make homes run more efficiently. Saving people as lot of time in simplifying basic chores, along with keeping in modern living. The only down side to appliances, is that over time, even the most dependable machine can experience some malfunctions. In their design, there are quite a few moving parts that over time can begin to wear and tear. 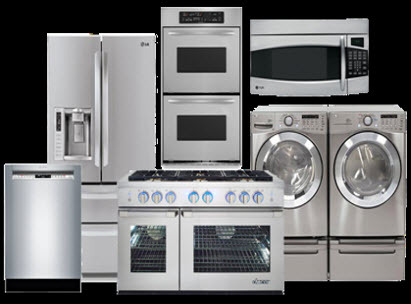 Quality Appliance Repair Company have been servicing the San Bernardino and surrounding areas for years. It has been our experience that appliances decide to protest their capabilities at the most inopportune times. Considering the appliances you have in your home, the possibilities could be endless to how and why repairs are needed. If you are experiencing any technical difficulty in your house hold appliance, there is only one reputable company that you need programmed in your phone, and that’s Quality Appliance Repair Company. Dishwashers are a common appliance in most households. Doing most of the dirty to get your dishes washed, sanitized and dried. Having a dishwasher not putting in the effort to make your dishes useable can be frustrating. After the cycle claims to be complete, you could find dishes still wet. Other problems include; filmy substance coating the surface of dishes, or even crusty debris. Sometimes the dishwasher won’t even turn on. With the dishwasher having much to do, many issues can develop. If you find your dishwasher isn’t running up to par, you need the trusted professionals at Quality Appliance Repair Company. Garbage disposals have high functioning purpose, and most likely, it will malfunction at the start or middle of use. If a garbage disposal doesn’t work appropriately, it can contribute to unsanitary conditions. Its primary task is to chop up food particles and flush it down the drain. Allowing food to fester can cause water drains to backup, it can even do so into your dishwasher. Mold can set in, or it can even attract pests. Getting your garbage disposal to perform as it should requires the expertise of able hands. Quality Appliance Repair Company has leading experts on our team that can quickly determine the need of your garbage disposal. Getting your garbage disposal appliance repaired rapidly and competently, you will be 100% satisfied in our labors. Microwaves are complex appliances. Having some hidden dangers if an untrained professionals attempts do it yourself repair, your microwave is better suited for the professional when repairs are needed. Most people find that they never relied so heavily on a microwave, until it is no longer available. 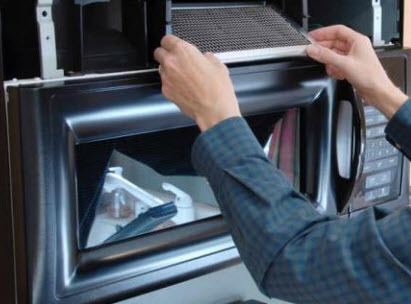 When you see the slightest defects in your microwave, you will want to get it repaired as soon as possible. Our professional appliance repair team has the knowhow and exceeds minimum credentials to repair your microwave safely and efficiently. Quality Appliance Repair Company not only has all the expertise to repair your appliances, but the passion to provide you with superior services to inspire you to be a valued customer for years to come. We are fully licensed and certified to repair most brand appliances, and are eager to help you in your appliance repair needs. 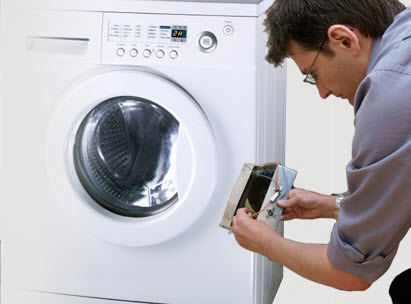 Call us today if you need any appliance inspected and repaired.